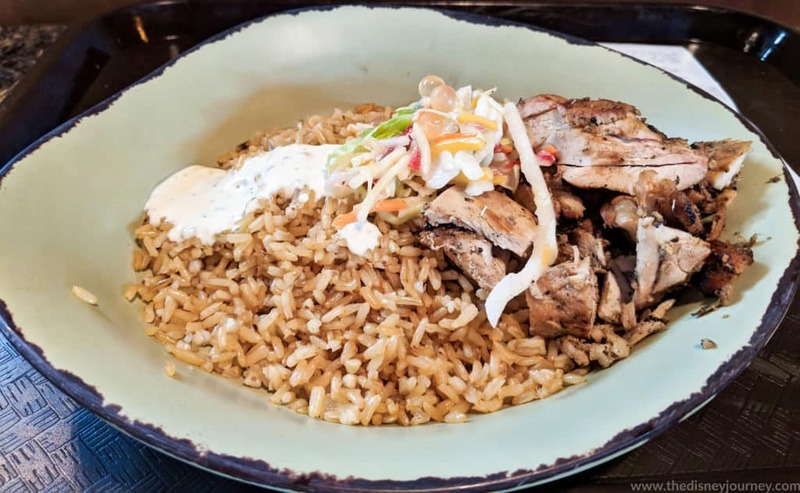 A few months ago I wrote a round-up post where I had various Disney bloggers vote on their favorite quick service meals in Disney World. 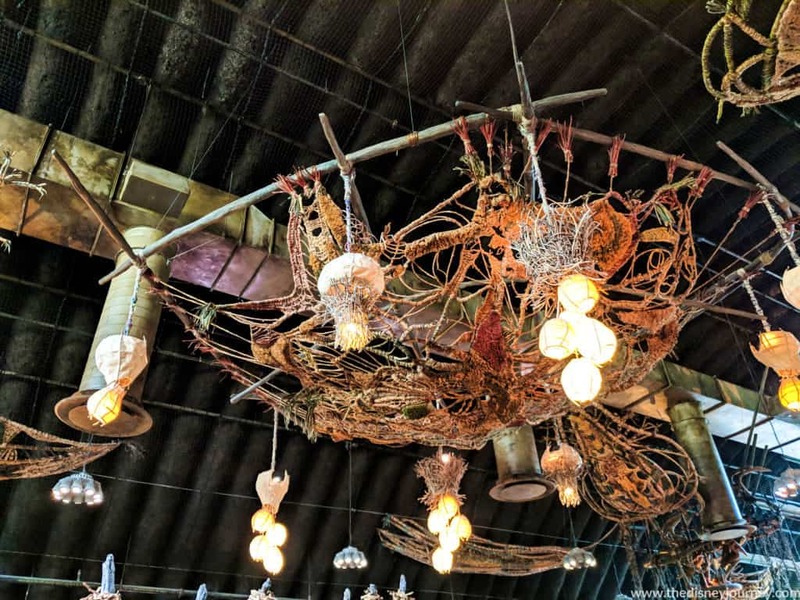 While several different restaurants got a lot of love in that post, Animal Kingdom’s Satu’li Canteen was one of the most popular choices. 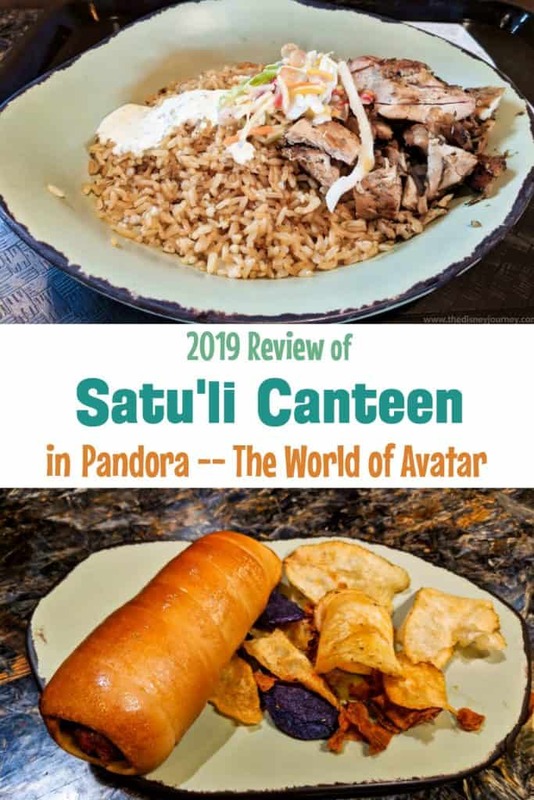 Since I’ve never eaten at Satu’li Canteen myself (and since I was “busy” hanging out at the beach in St. Augustine with my family last week), I asked my buddy Nicole to write a guest post reviewing Satu’li Canteen and sharing why she, too, considers it to be one of the best quick service restaurants. Hi there, guys! 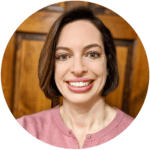 My name is Nicole Graber from The Disney Journey. Jen asked me if I could tell you all about one of my favorite Quick Service restaurants in all of Disney World. 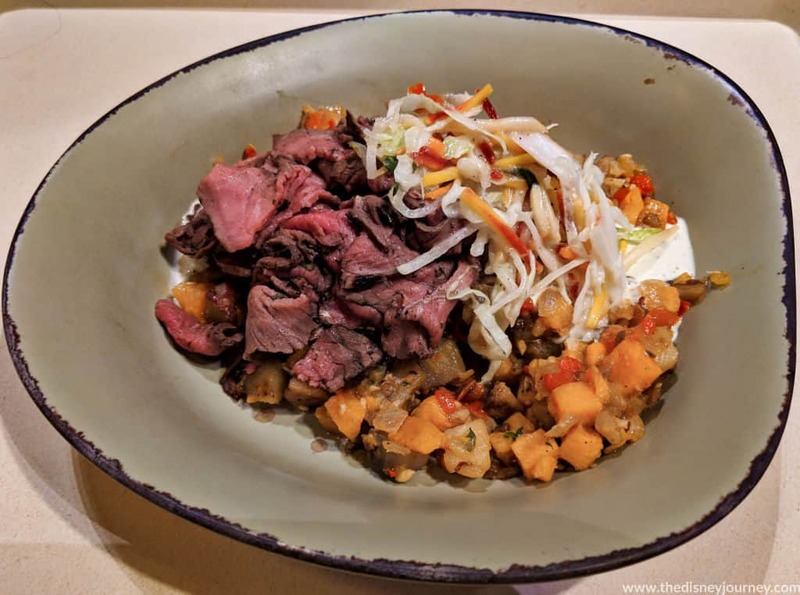 Satu’li Canteen reached favorite restaurant status because of the excellent food quality and the variety of options for people with gluten sensitivities like myself. 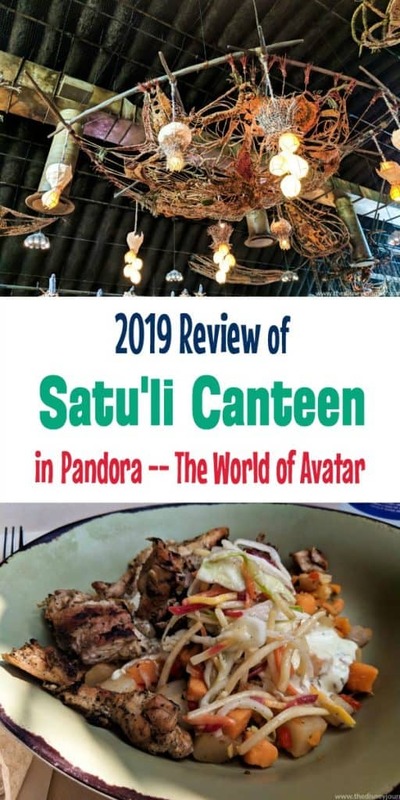 Satu’li Canteen is a Quick Service restaurant located in the Pandora area of Animal Kingdom. The restaurant is open for lunch and dinner only, opening at 10:30am and staying open until park closing. Guests are able to use Disney mobile ordering through the My Disney Experience app, which can be a real time saver. Satu’li Canteen is an ideal place to grab an early lunch after a busy morning spent enjoying rope drop at Animal Kingdom. 1 Is Satu’li Canteen on the Dining Plan? 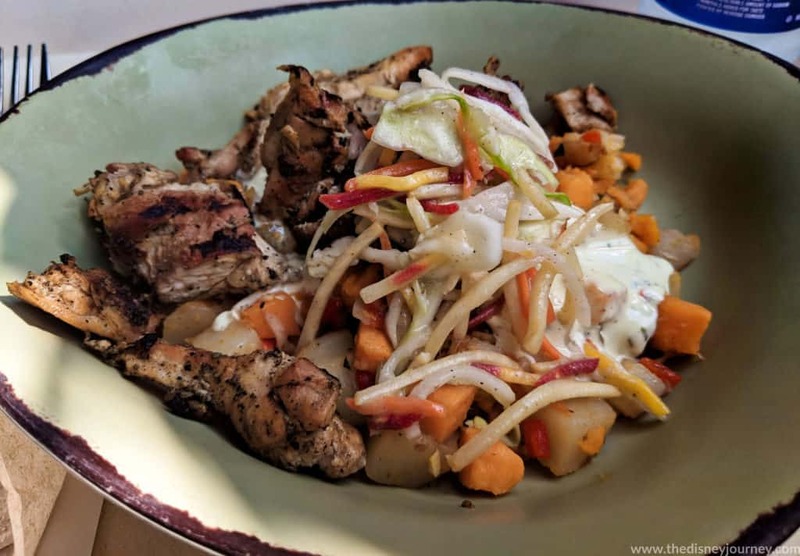 Is Satu’li Canteen on the Dining Plan? A meal at Satu’li Canteen uses one quick service credit if you are on the Disney Dining Plan. It also offers some snack credit options, including two desserts (which we’ll talk about shortly) and several drink options. Unfortunately, there are no discounts for Annual Passholders or Disney Vacation Club members. experience that is a step up from “fast food”. The food offerings at Satu’li Canteen are truly unique. You will not find another restaurant around that has similar food. The bonus of Satu’li Canteen being a newer restaurant is they seem to have planned the menu with food allergies in mind. round out the four base options. If sauce just isn’t your thing, you can always opt to go without sauce as well. As you can see from these combinations, Satu’li Canteen offers up some of the healthier food options in any of the parks. Considering this a Quick Service restaurant, that is very impressive. Once upon a time, there were other menu options, but those have since been removed. There used to be an entrée size version of the cheeseburger steam pods. Also, there was a shrimp and noodle bowl. While this second option is no longer directly stated on the menu, you can make your own version if it via the create your own bowl using shrimp as your protein and noodles as your base. At one point, Satu’li Canteen offered a scrumptious looking breakfast menu. However, this was pretty short lived, officially ending in September 2017, lasting only a few months. Let’s face it, during breakfast hours, anyone who is in Pandora is trying to get on Flight of Passage, not eat breakfast. There were murmurings that breakfast would be offered seasonally, specifically during very busy times like Christmas and Easter. However, I have not seen any reports of this so am unable to verify whether or not this is true. Considering the lack of information, I’m guessing this never happened. The kids’ menu is more varied than the adult menu, likely to accommodate the picky palates of most children. 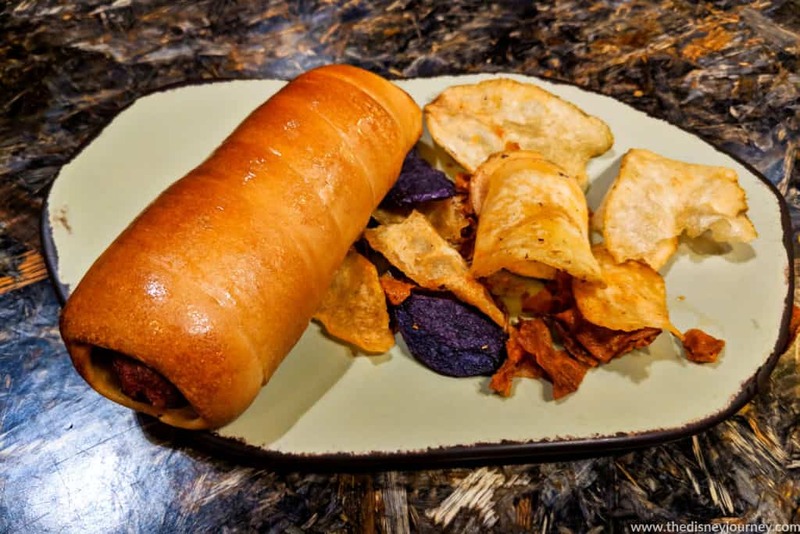 The kids are able to order kid size versions of the protein bowls if they so choose, but they also have the opportunity to have cheeseburger steam pods, cheese quesadillas, and hot dogs wrapped in dough. The more traditional meals come with vegetable chips and grapes on the side. The create your own bowls do not come with any other sides. dessert offerings, one of which is VERY Instagram friendly. 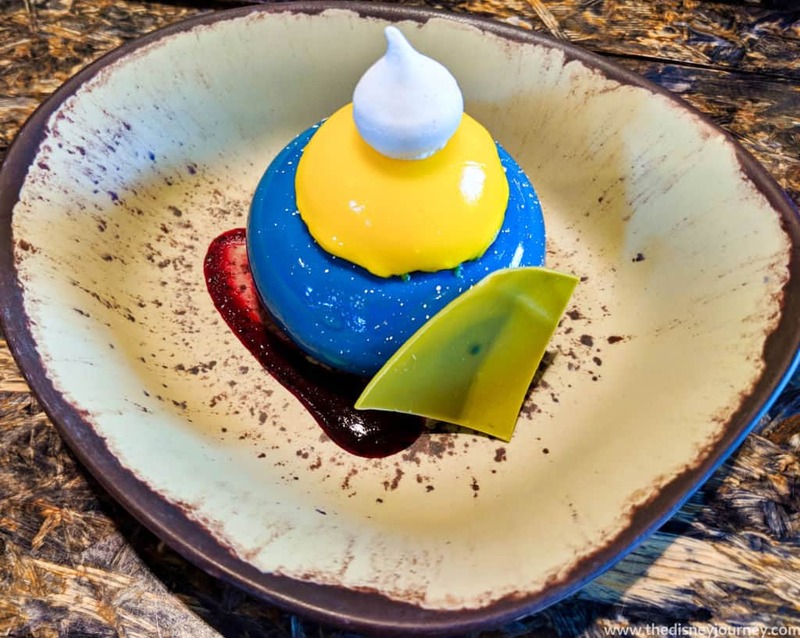 The most popular dessert is the Blueberry Cream Cheese Mousse. This is perhaps the most colorful and prettiest dessert I have ever seen. there for you to peruse. The allergy menu for Satu’li Canteen is quite detailed for the top 8 food allergies. You will find a wide variety of options to choose from because of the different combinations you can make. I promise, you won’t be disappointed. herb dressing or charred green onion vinaigrette. choices this gives us, but you choose from 4 proteins, 3 bases, and 2 sauces. The removal of the boba balls is the only thing necessary to make this combination bowl gluten free. I have no idea what is in the boba balls that makes them a gluten risk, but I’m OK with the absence. usual by the 4th trip, because it’s just that good. can eat gluten, boba balls. Between the Chicken and the Beef bowls, I prefer the chicken. still a nice amount of redness to the meat, which is how I prefer my beef. have enough, I found that they are very liberal with their sauce application. on the side or specify that you only want a little. Canteen for lunch on our second Animal Kingdom day. it, both of the kids ate the whole thing, so that’s a win in my book. for the sake of blogging, of course! board with being the guinea pigs on this one. gluten free is a thin layer of cake at the very bottom. This is a real bummer. If they had just left that part out, more people could enjoy it. surprising, but perhaps not a ringing endorsement for the dessert as a whole. In the end, it seems like the Blueberry Cream Cheese Mousse was a decent dessert, but taste wise not one to go out of your way to get. However, I would still suggest you get it, simply for the novelty of the dessert itself. Let’s face it, it just looks cool. Canteen tastes like from the comfort of your own home? Here’s a video I found that shows you how to make the grilled beef bowl. The recipe is Whole 30 compliant, paleo, low-carb, and gluten free! end up surprised by how much you like it. around $13-$17 a bowl, that makes Satu’li Canteen a good value for your money. that Mobile Ordering offers, it’s a win-win. Nicole is a mom, a Disney lover, and a social worker all rolled into one. 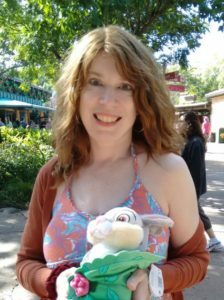 Her passions for planning Disney trips and helping people collided to create the blog, The Disney Journey. The goal of The Disney Journey is to help people plan the ultimate Disney vacation, without the stress and anxiety. Come follow the Disney Journey on Facebook to stay up to date on the latest happenings.